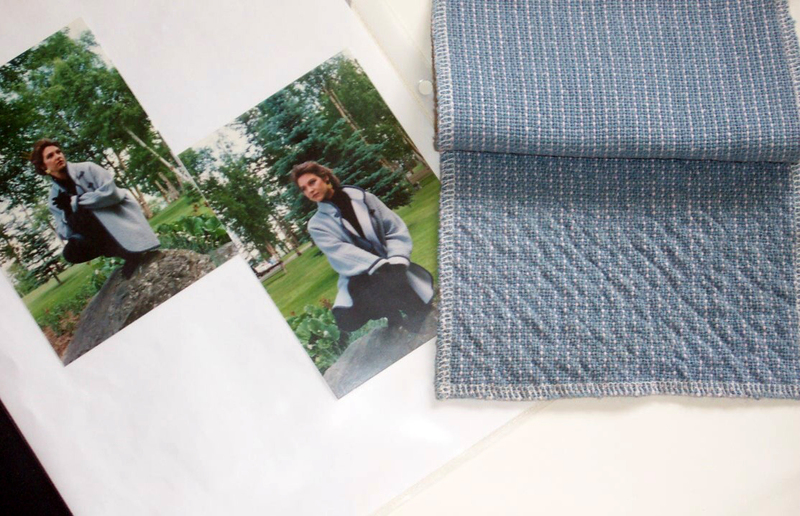 We're pleased to welcome accomplished weaver Laura Fry as our first guest blogger on The Woolery Blog! 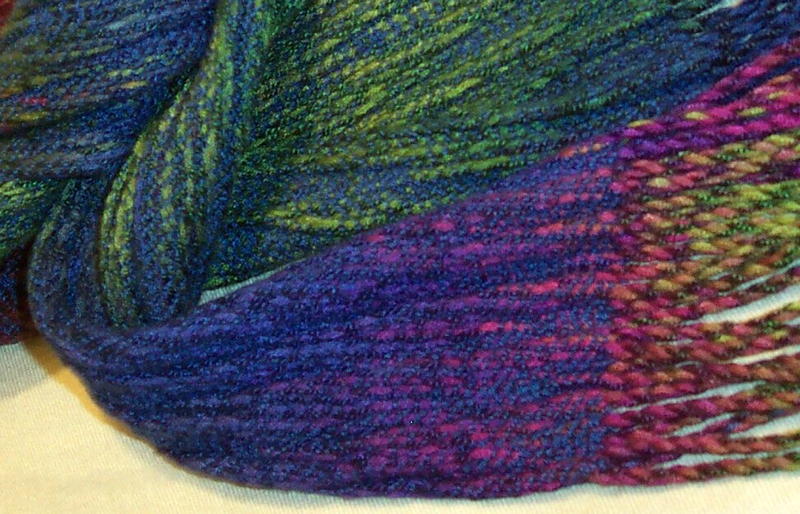 In this regular series, we'll be introducing you to some of the best and brightest fiber artists as they share their knowledge and skills with us. We hope you'll enjoy this new feature, and welcome your suggestions for future posts! It Isn’t Finished......until it’s wet finished. New weavers are often quite surprised to discover that once the threads are interlaced into a woven web that they don’t actually have ‘real’ cloth. Yet. There are a few more things that need to happen. After cutting the web from the loom, take the time to inspect and repair anything necessary, like broken ends, skips and floats. I prefer to clip the weft tails flush with the surface of the cloth, although some people like to leave a little bit to trim later. If so, keep them short – no more than about an inch. Longer than that and they can tangle in the final step in the process of turning threads into cloth – that of wet finishing. If applying a hard press, the long tail can leave an impression in the cloth, so clip them flush before compressing. What is wet finishing? It isn’t ‘just’ washing it, although it may look a whole lot like that. Wet finishing refers to the very first time the woven web meets water after being woven. I like to distinguish between wet finishing and on-going laundering because the wet finishing process may be much harsher than ordinary cleaning of the textile once it has been put into use. This is especially true of woolen yarns. Woolen yarns have been spun with the intention of some degree of fulling happening during wet finishing. This means agitation! New weavers get very concerned about ruining their hard won efforts because we have all had the experience of washing a favourite sweater and taking it out of the washer or dryer the size of a doll sweater. Agitation is the engine that drives the process of fulling. During fulling the fibres migrate and compact which means you wind up with a much more stable, warmer textile. Once the cloth has been brought to its finished state, however, all the rules you learned about not agitating something made from wool come into play. Additional agitation will apply additional fulling, eventually ruining the cloth for its intended purpose if done to excess. The soap/detergent will do two things: act as a surfactant, breaking down the surface tension of the water so that the fibre can more easily absorb it, and scour the oil/dirt from the yarn to clean it. You don’t need a lot of soap/detergent – the maximum amount of suds I want to see on the surface of the water is one inch. Usually I use less soap/detergent and add more if required as the scouring process happens. Once the cloth is clean the agitation begins. Run a fingernail over the cloth from beneath. Watch to see how unstable the threads are. As the agitation begins the fulling process, monitor the stability of the cloth by running your fingernail across the threads. Once the web is stable enough for its intended purpose, rinse and dry with the cloth laid flat. Larger pieces can be Z folded, turning from time to time to make sure it dries thoroughly. For cotton, I use the washing machine and the hottest water available on a gentle wash and rinse cycle. After wet finishing, which generally includes a hard press or cold mangle (compression – one with heat, one without), care instructions read “Machine wash warm water, machine dry until damp, iron on medium heat”. Wet finishing will change the woven web. Sometimes the change is subtle, sometimes it is dramatic. But once wet finished the cloth will be more stable, will therefore snag less and wear longer. 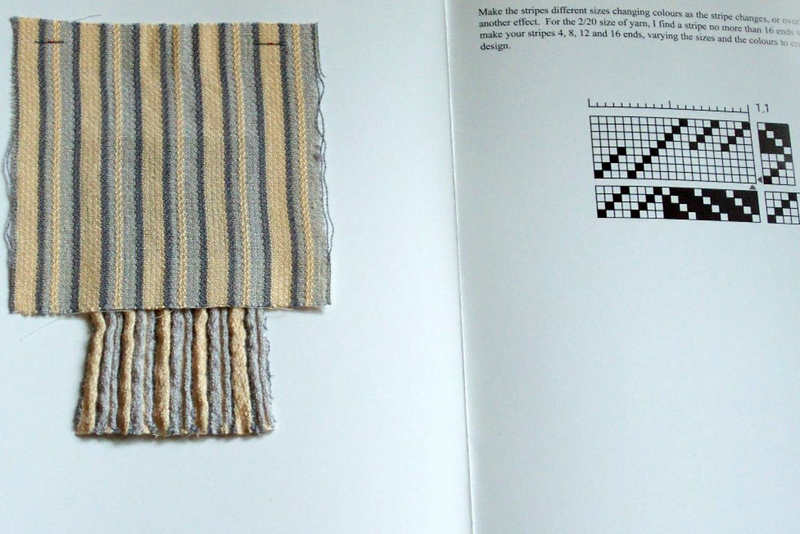 Welcome to the wonderful world of weaving! Laura fry is the author of Magic in the Water; wet finishing handwovens as well as other self published titles and teaches weaving in North America. A frequent contributor to magazines, she also has a popular blog.